The Rochester Literature Festival is back for a third year bringing readers, writers and like minds together. Featuring a sense of people and places, this year’s Rochester Literature Festival ‘Live’n’Local’ will mix writings inspired by the urban and rural places of Kent, along with its cultural heritage. On Saturday, the festival will be based at The Guildhall Museum in Rochester High Street for a selection of talks with an historic theme, while the popular Cafe Crawl will take place in various cafes. On Sunday, a lovely and eclectic selection of authors will delight you with their stories in the gallery space at the wonderful Sun Pier House in Chatham. Bookmark’d will be back in a slightly different format, and an artist will be on hand to capture the event as well as inspire you to do the same. The ever-brilliant Sam Hall of 17% brings her new play, My Mind is Free, produced by Rah Rah Theatre, to the festival on Sunday evening at the Nucleus Arts Centre in Chatham, continuing the wonderful ‘Night at the Theatre’ events enjoyed in the previous two festivals. 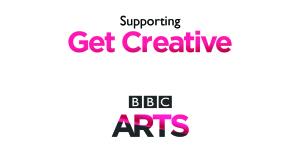 As part of the BBC Get Creative Campaign, the RLF is also running 4 themed workshops. The workshops on Saturday at the Guildhall Museum feature The History Magpie, Rachael Hale, who – inspired by the museum’s wonderful collection of artifacts – will guide you in finding hidden treasures whose stories are waiting to be told. Festival partner Sam Hall, with fellow playwright and BBC Prize winner Sarah Hehir, will teach you how to use news stories to inspire your own writing, leading the creative writing workshop Safe and Sound which is linked to the Sunday evening play, My Mind is Free, exploring the issues around human trafficking in the UK (over 14s). On Sunday at Sun Pier House, Nature Girl, Carol Donaldson will be taking participants out to explore the local environment before committing their discoveries to paper, while Melanie Benn will help you in Unlocking your Memories with discussion and thoughtful writing exercises, encouraging you think about writing from personal experiences. Both the Guildhall Museum and Sun Pier House Gallery Cafe remain open to the public as usual with free entry. There is a small fee for the workshops and play to cover costs. The RLF is a voluntary, non profit organisation and donations will be gratefully accepted to help secure future festivals. Cafe Crawl, featuring Pop Up Performers: 11am-12noon, 1-2pm, 3-4pm at [email protected], Bruno’s Bakes and The Quills. Formerly in situ at the BFI and BAFTA and a TV producer for many years, film fan Jane has made a stunning switch to writing thrillers. Consider yourself dared to join in! 3.15 Cultural Contributors Discussion Panel led by Roy Smith (Seasonally Effected) and featuring Lisa Vigour (Inspirational Nights) and Barry and Sam Fentiman-Hall (Roundabout Nights) in a discussion about the vibrant cultural open mic scene prevalent in Medway, and the opportunities it gives to aspiring performers. Throughout the day at Sun Pier we also have a lovely artist, Julie Bradshaw, with us to inspire you to respond to the festival visually and in writing – stand still too long and you’ll be captured forever! And – for your ears only – Bookmark’d is an opportunity to get up close and personal with local publishers and authors, to hear snippets of, and discuss, their work. Features Urbane Publications, Wordsmithery, David Griffin, Medway Mermaids and Paul Breen. 7pm My Mind is Free. The new play is inspired by the stories of people who have fallen into modern day slavery and is an all too poignant reminder of how people traffickers can take advantage of the current refugee situation. The play is funded by the Arts Council and the Kent Commissioners Fund. You can keep up to date with the festival on Twitter @RochLitFest, find them on Facebook or call 07904 643770. 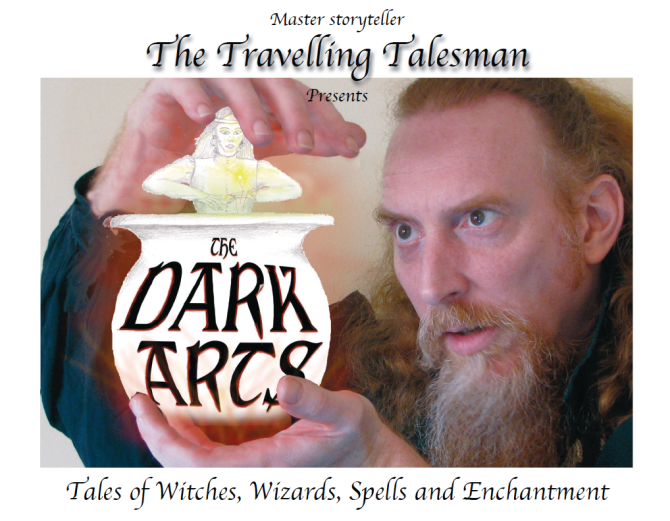 The full programme can be found on the RLF website at www.rochesterlitfest.com, where tickets can be booked for the play and workshops. Brochures can also be picked up from the Visitor Information Centre in Rochester, the venues and various libraries. A new term begins on Saturday, September 26 for The River Voice Community Choir, with members looking forward to helping more people improve their musical skills by learning to sing. There is no audition and no requirement to read music, simply come along to a session and see if you like it. The choir aim to make music accessible to everyone and have a number of visually impaired members who take an active role in the group. 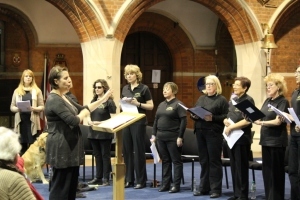 Rehearsals take place at St. Stephen’s Church in Chatham every other Saturday from September 26 (10am-12noon), and every other Thursday from October 1 (6.30-8.30pm). The first session you attend is entirely free so you can try-before-you-buy and make sure it’s right for you. With two workshops also scheduled (24/10 and 28/11), new members are welcome to come along and prepare for the Christmas Concert taking place on Saturday, December 5 at the St. George’s Centre in Chatham..
River Voice was launched in 2013 following a short programme of vocal workshop sessions initiated by professional Musical Director, Tania Holland Williams, for participants with visual impairment. River Voice has since grown and includes adults of all abilities, whether sighted or visually impaired. For more information, please contact either Claire on 07890 705698 / email [email protected] or Tamara on 07919 134154 / email [email protected]. 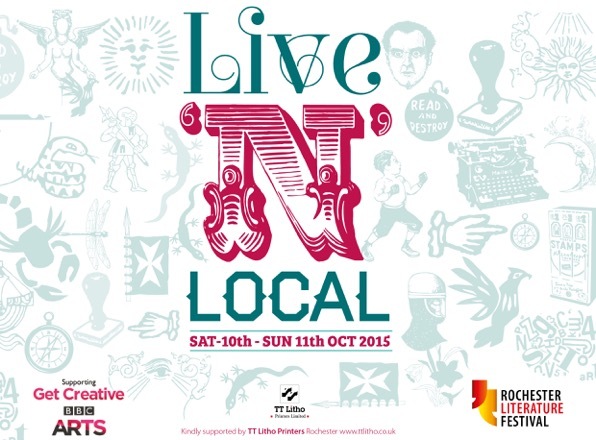 The Rochester Litfest (RLF) is to host a 4 themed writing workshops during their 2015 festival, Live’n’Local, as part of Get Creative – a year-long celebration of British arts, culture and creativity. The RLF is joining hundreds of organisations nationwide in becoming a Get Creative Champion. This year’s festival will run across the weekend 10/11 October and features a sense of people and place, mixing workshops and talks inspired by landscape and cultural heritage. The workshops on Saturday at the Guildhall Museum feature The History Magpie, Rachael Hale, who – inspired by the museum’s wonderful collection of artifacts – will guide you in finding hidden treasures whose stories are waiting to be told. Festival partner Sam Hall will teach you how to use news stories to inspire your own writing, leading the creative writing workshop Safe and Sound which is linked to the Sunday evening play, My Mind is Free, exploring the issues around human trafficking in the UK (over 14s). On Sunday at Sun Pier House, Nature Girl, Carol Donaldson comes to the festival, leading participants out to explore the local environment before committing their discoveries to paper, while Melanie Benn will help you in Unlocking your Memories with discussion and thoughtful writing exercises, encouraging you think about writing from personal experiences. You can keep up to date with the festival on Twitter @RochLitFest or find them on Facebook. The full programme can be found on the RLF website at www.rochesterlitfest.com or call 07904 643770. 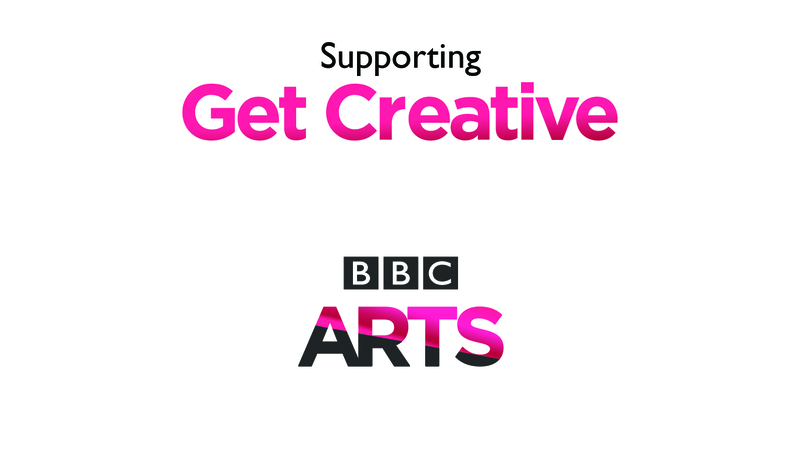 Get Creative will also have its digital home on BBC Arts online and through the use of #bbcgetcreative on social media sites. For families to enjoy together, we haveAssassin,featuring the fantastic Joe Craig reading extracts from his Jimmy Coates series – part boy, part weapon, totally deadly – which will be interpreted with music by Alice composer, Jacob Bride, and exciting young street dance group CYC. Awesome Keeper of the Realms trilogy author, Marcus Alexander, who is Charlie’s Keeper, will entertain and inspire you with his delightfully wicked fantasy adventure series – get your read on! Our interactive story game this year is Murder in the Crypt and will feature some of your favourite detectives. In addition, we’re holding a Cafe Crawl, where you can sample music, poetry, storytelling and more, in the company of, amongst others, former Canterbury Laureate Dan Simpson. Bookmark’d is a chance to buy books, swap books or just listen to books, read aloud by their authors. Our Night at the Theatre will this year be held in conjunction with Chatham Grammar School for Boys and be presented by award winning 17% playwrights, Sam Fentiman-Hall, Sarah Hehir and Maggie Drury. The Spirit of My Dream is inspired by Byron’s poem The Dream and features new plays with a somewhat fantastical theme. Byron’s Teapot will be our finale – a mad mix of the unusual and quirky, featuring The James Worse Public Address Method, JP Lovecraft, Dylan Oscar Rowe and Brides of Rain. If you have any enquiries regarding any of the events or festival in general, please email [email protected] or telephone 07904 643770. The first main festival, Other Worlds, Other Voices took place in October 2013. Marcus Alexander: Who is Charlie’s Keeper? Exhibition: Friday 26/9 to Saturday 25/10 Free, normal opening hours. Tickets from £3. Family tickets available.